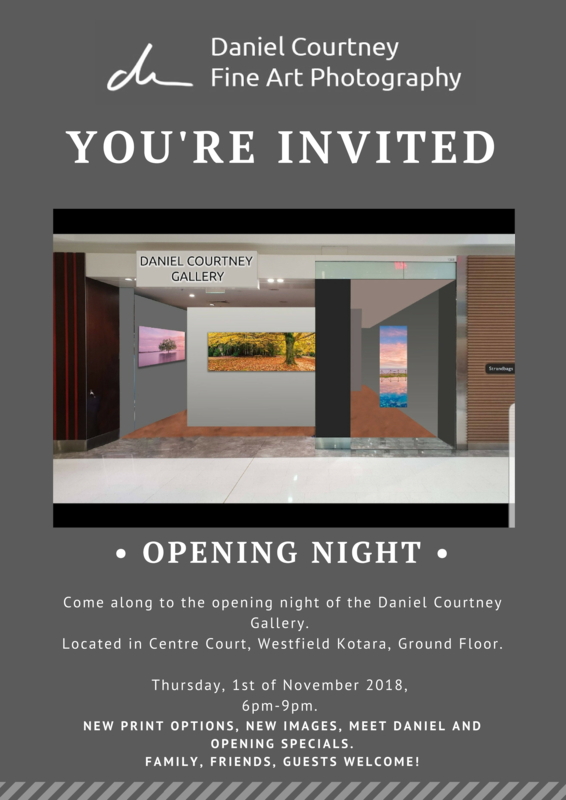 We are very excited to share the news that one of our valued Hunter Arts Network members, Daniel Courtney Photography, is opening the Daniel Courtney Gallery at Westfield Kotara! Come and meet Daniel at the opening night this Thursday 1 November from 6pm-9pm and see some new images that will only be available in this gallery. Family, friends and guests welcome! The new gallery will be located in Centre Court, outside David Jones on Ground Floor.